As we age, our health deteriorates slowly. Most people want to slow down or minimize the effects of aging by having a healthy lifestyle, which in most cases, involve the intake of nutritious food, and proper exercise. While some people spend most of their time having a sedentary lifestyle (i.e., lack of physical activity, which is really risky, by the way), others try to make time each day to do some workouts to, at least, maintain the healthy body everyone is dreaming of. 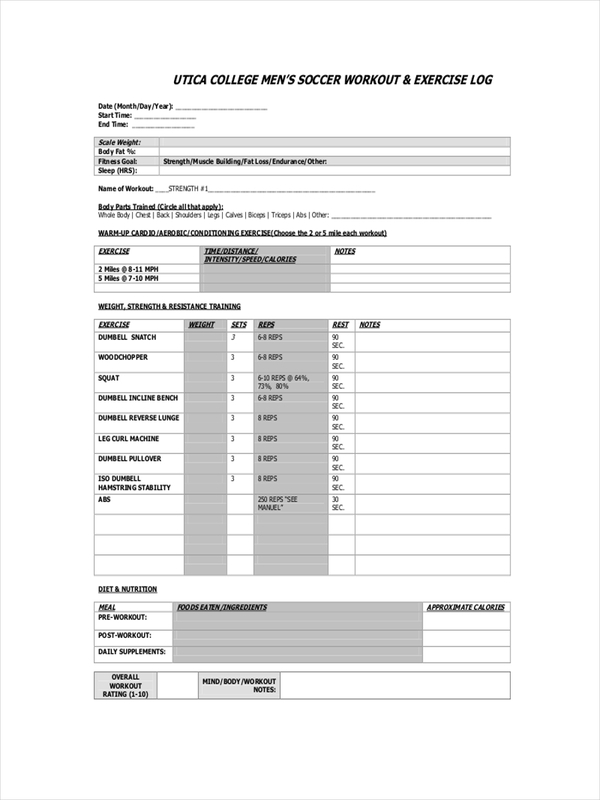 What Is a Workout Sheet? 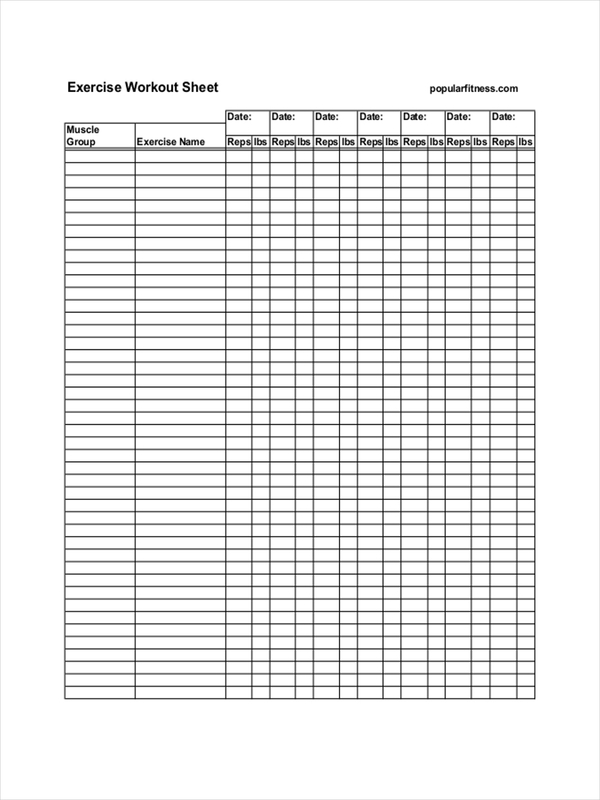 A workout sheet is more or less the same as an exercise or workout schedule. This is where an individual typically inputs the details of his/her exercise or workout routine every time he/she completes one. A workout sheet basically contains an individual’s workout routine, including the types of exercise he/she completes (e.g. cardio), the number of repetitions and sets he/she does for each exercise, and the date he/she conducted the exercise. A workout sheet may also contain the user’s goal, exercise routine descriptions, or instructions for executing each exercise. 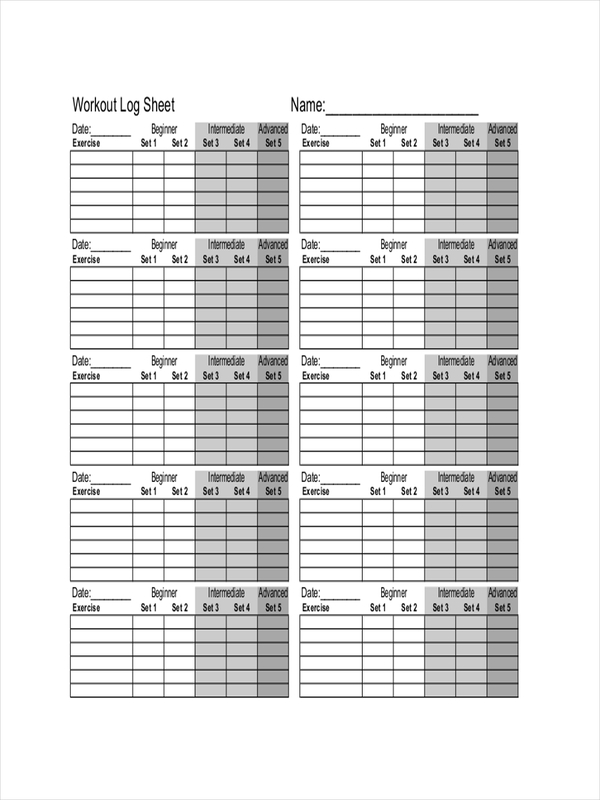 A workout sheet basically keeps track of a person’s workout routine. It lists every exercise a person completes, as a part of the workout routine, and guides the user throughout the whole routine schedule example. 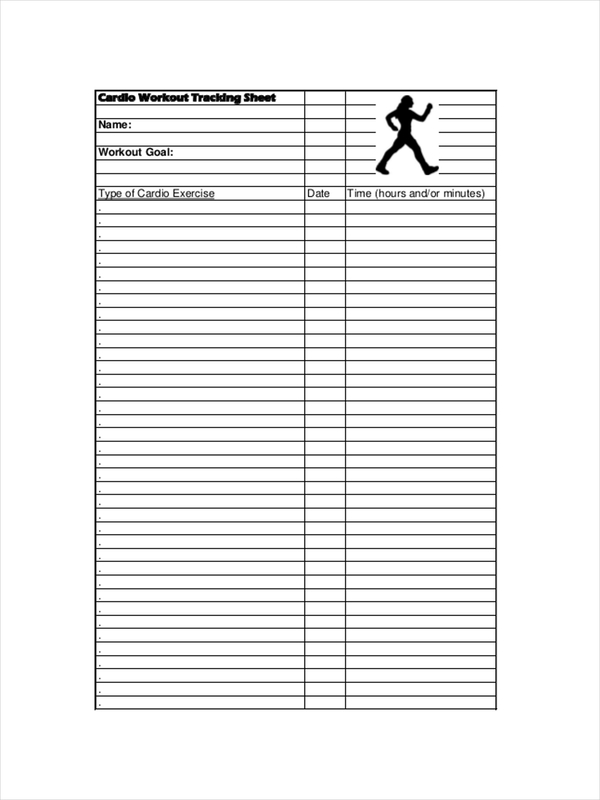 An individual can also monitor his/her progress through a workout sheet. If an individual includes a goal in his/her workout sheet, he/she will be reminded of the reason as to why he/she is conducting the workout routine, and the outcomes he/she desires in achieving upon completing the workout routine. 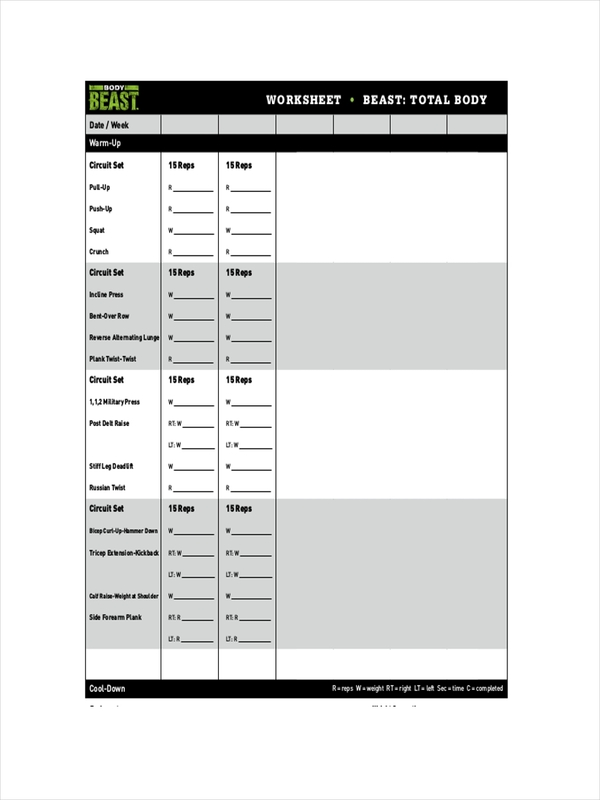 Overall, a workout sheet keeps an individual motivated throughout the whole workout routine. Consult a professional. Consult someone with proper and accurate knowledge of the human body or the different workout routines for the human body. Undergoing a workout without consulting the professionals first can lead to injury, trust me. List down exercises. Write the details for each exercise, including instructions in executing them. 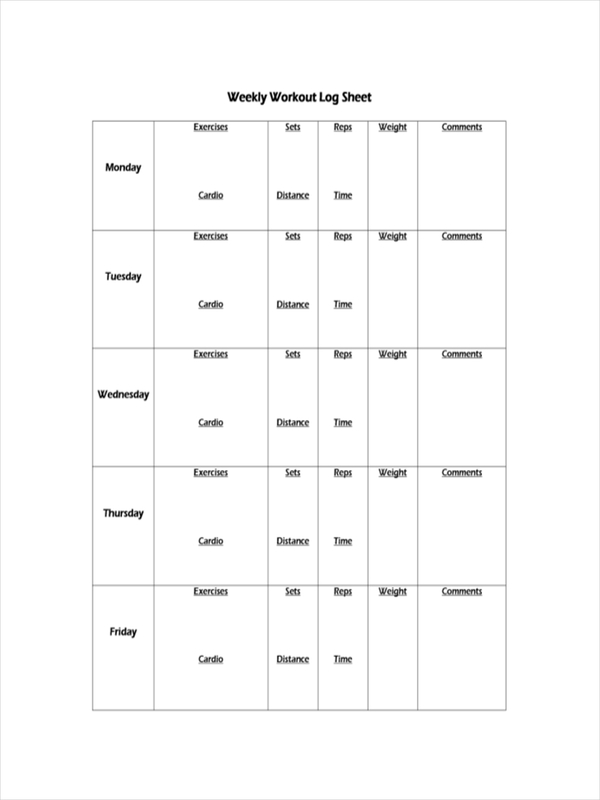 Or you can create an exercise chart where you can add images of the proper way to execute and exercise. Organize your sheet. The first thing to a successful workout routine is an organized sheet. Create a table where you can easily input your exercises and the remarks you make every time you complete an exercise. Fill your sheet up clearly. You’ll be needing the information you put in your workout sheet example in pdf, so make sure you fill it up with the accurate information. Ask for assistance. If you’re having a hard time recording your daily workout activities on your own, it’s time to ask for assistance. Or at least have someone to keep you company. 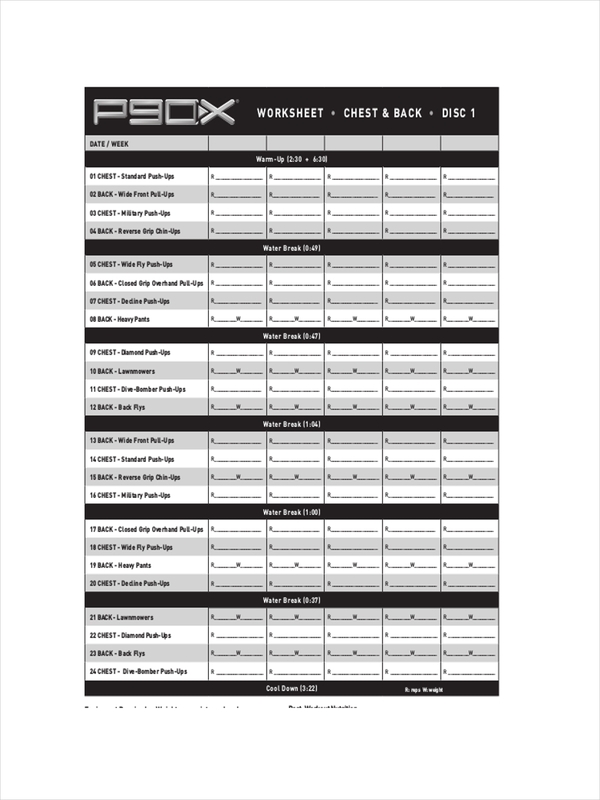 Review and improve your workout sheet. Workout sheets can be really helpful, especially if you’re really conscious with your progress, so make sure you improve it from time to time.